Imagine yourself driving around an entire country in one day. It’s a pretty crazy thought, isn’t it? Well I did just that when visiting The Republic of San Marino. 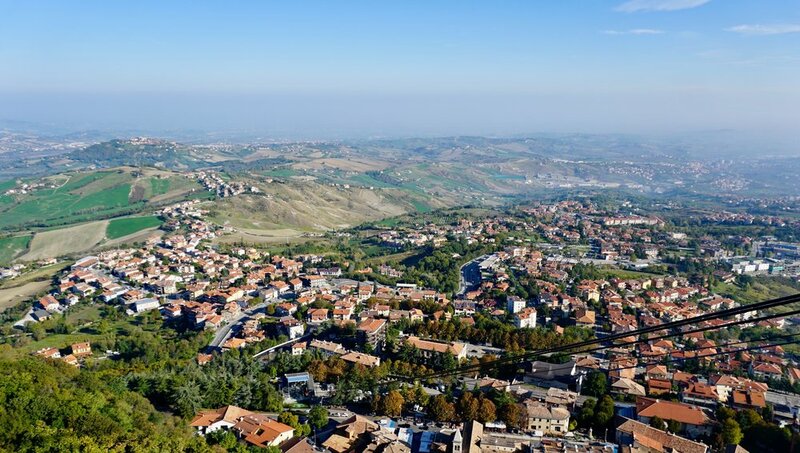 San Marino is a tiny country surrounded by Italy with a population if 33,000 people and covering 62 squared kilos. 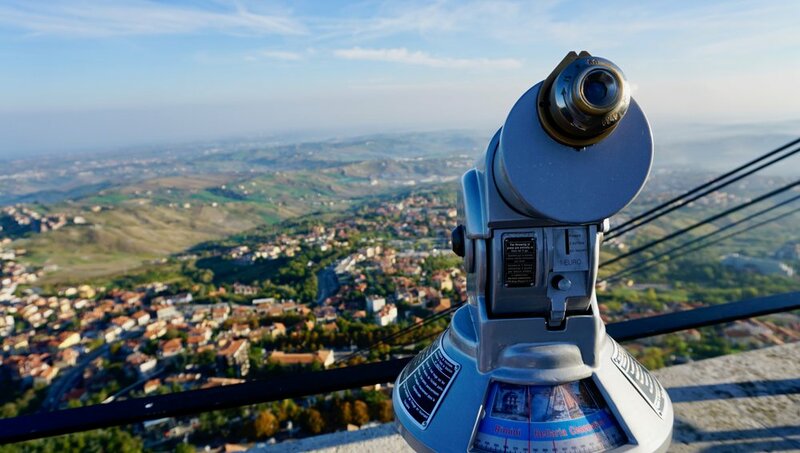 The center of the city is at the top of a huge mountain called “Titano” with breathtaking views over the entire country and even some views over Italy. The Castle sits atop a mystic mountain with a bricked city wall surrounding it. 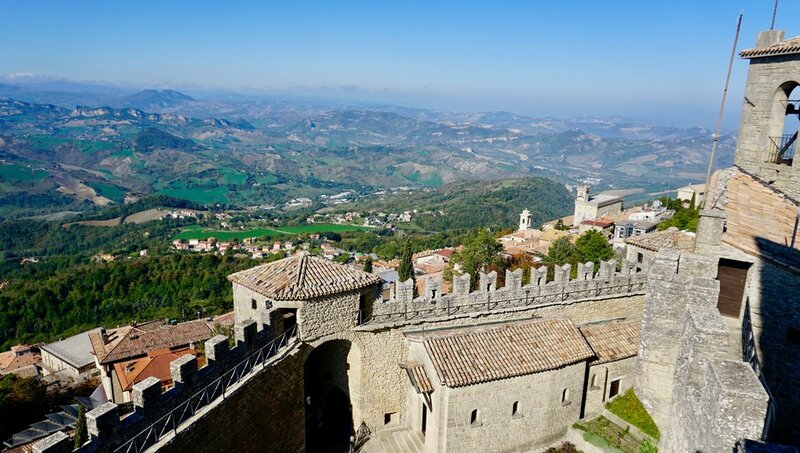 San Marino is one of the oldest republics in the world and holds much of its original historic architecture. I booked my trip to San Marino while I was in Italy. I took a train from Milan to Rimini, connected in Bologna and then took a bus from Rimini. It is a little bit of a mission, but if you’re in Italy, you do not want to miss coming here! 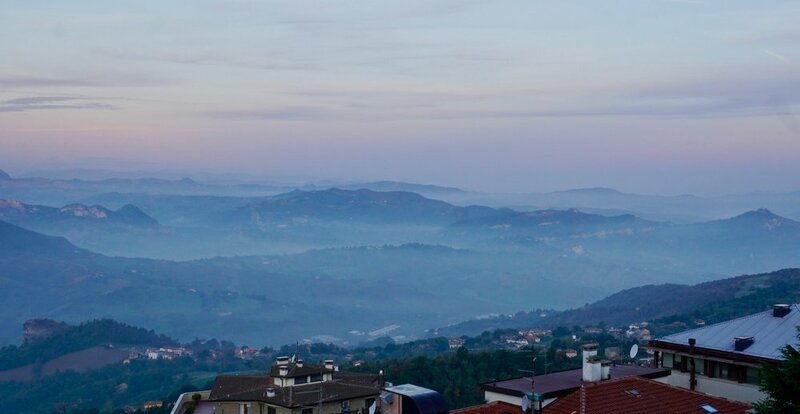 I didn’t know much about San Marino before I visited and admittedly didn’t have too high of expectations of it, but it really blew me away and enamored me in ways I can’t explain. I set up a tour through the tourism board who were so lovely and accommodating. They helped me with accommodation, information, and gave me a private tour and transported me to and from the station in Rimini. They also helped me facilitate my One Model Mission interview with a lovely teacher from there. I stayed in a little hotel just outside the city wall called HOTEL JOLI. It was small but had everything I needed for my short stay in San Marino. I had an delicious pasta dish at this little restaurant just down the street from my hotel. 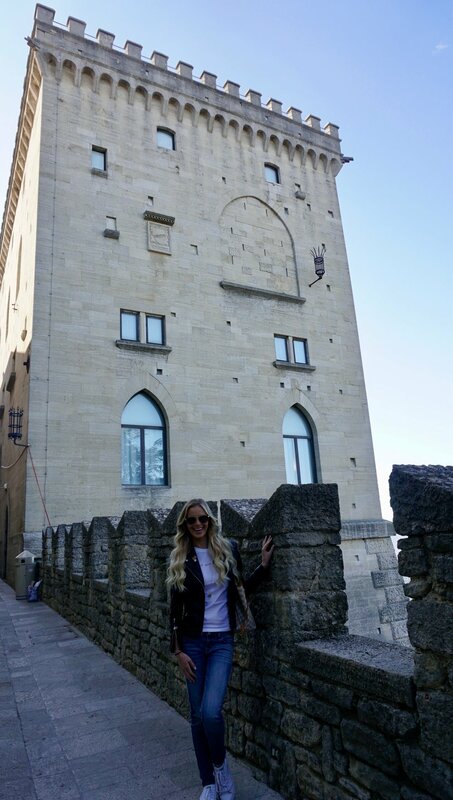 The day of my tour, I learned so much and really took a keen interest in San Marino’s history, culture, and its small population. San Marinians speak Italian, they use the euro, and they have so much pride in their way of life and their little republic. There are two presidents in office at once, and it is a tradition that the president never drives while in office. Then they finish their official duties and the seat is taken by the other. The president must walk home from the city center. This keeps everyone grounded and has long been the tradition which I loved. This tradition made me tear up a bit, but perhaps I was emotional that day. Ha! I just thought it was lovely. I had such a special tour not only of the city center and castle, but also some of the areas that most tourists don’t get to see. The tourism board really treated me well and spoiled me by showing me everything notable about San Marino! I strongly suggest hiring a tour guide here for an hour or two. Normally I don’t really care to sit and listen to all the details of a place, but this country really has an interesting history. 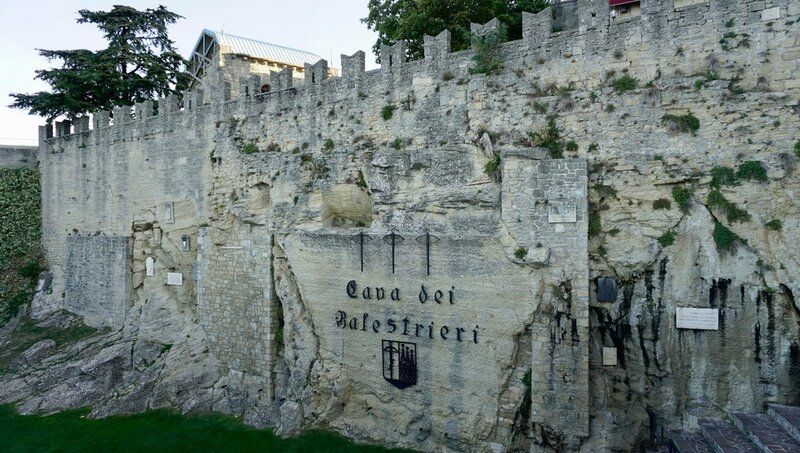 I also learned that during a war, the people of San Marino took in thousands of war refugees, housed and fed them, and even hid them in tunnels. They really did everything they could to keep them safe and fed even when they had so little. This was another thing that really made me get emotional. The views from the top of the mountain are so stunning. It feels as though you are on top on the clouds. It’s mesmerizing. You can tell it’s such a nice community and everyone knows everyone. There is very little crime in the city as well. It’s very safe. There are so many cute shops in the city and lovely little restaurants. I was glad to stay at HOTEL JOLI because it was just a few minutes of walking to the city’s door. 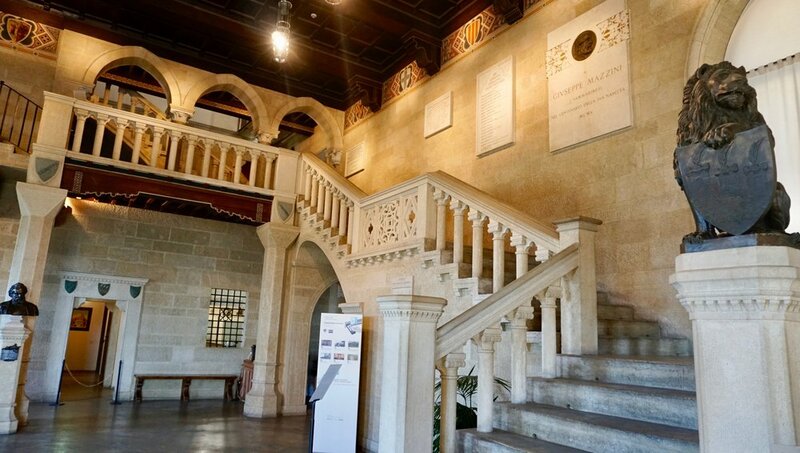 If you make It to San Marino make sure you go to the tourism office right in the center of the city and get a stamp in your passport for “San Marino”. It’s a nice stamp and souvenir for you. 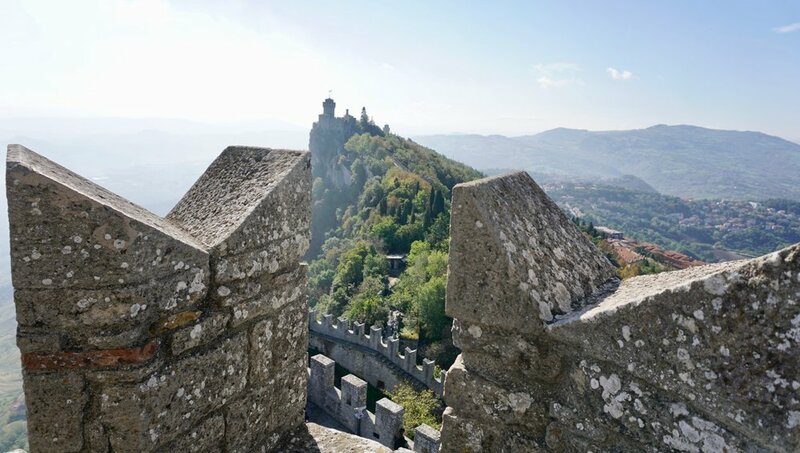 Below are some things to see and some general information about San Marino. There are lots of lovely shops for jewelry, clothing, sunglasses, and other souvenirs and all tax free. Make sure you go get a stamp in your passport at the tourism board. I believe the cost is between 3-5 euro but it’s nice to have. Walk around all the viewpoints and get photos on every side on the mountain. The views are stunning. Try and hire a private tour guide for an hour or two to really learn the history this micro country. 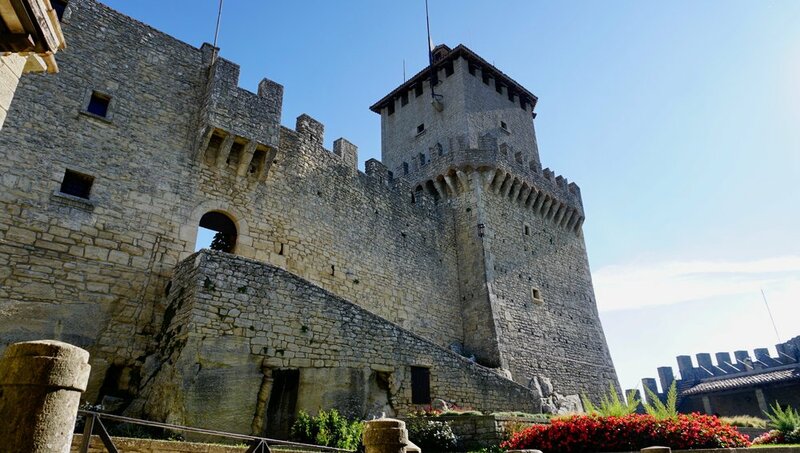 San Marino has a huge and long history! Have a nice lunch in the Piazza Della Liberta. It’s great two-day trip from Florence by car or train. Only 2.5 hours away. Try the Torta tre monti (chocolate and hazelnut lay cake) . Try the wine and the Tilus, a truffle infused liquor generally had after dinner. There is no border control in San Marino so no hassles there. The official language is Italian but a lot of people speak English. Euro is taken but credit cards are also accepted most places. There is no shortage of museums in this jam packed little treat of a place. Watch the changing of the guard April-September every half an hour. 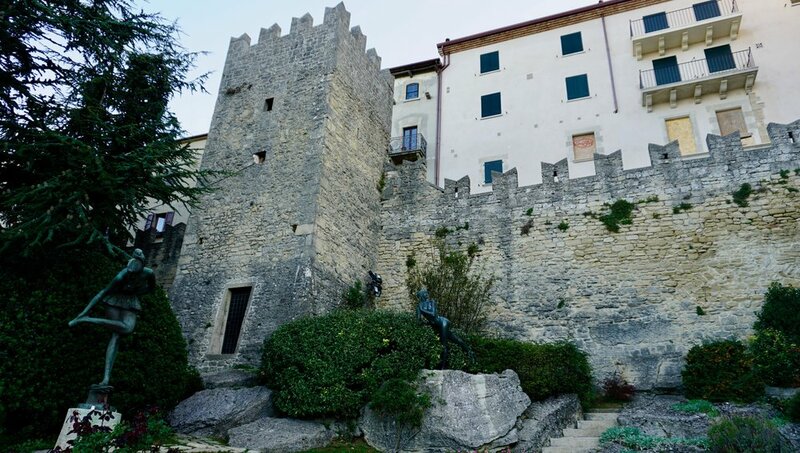 San Marino has its own military branches, one of the smallest in the world. Take the cable car and do a little round trip for lovely views. 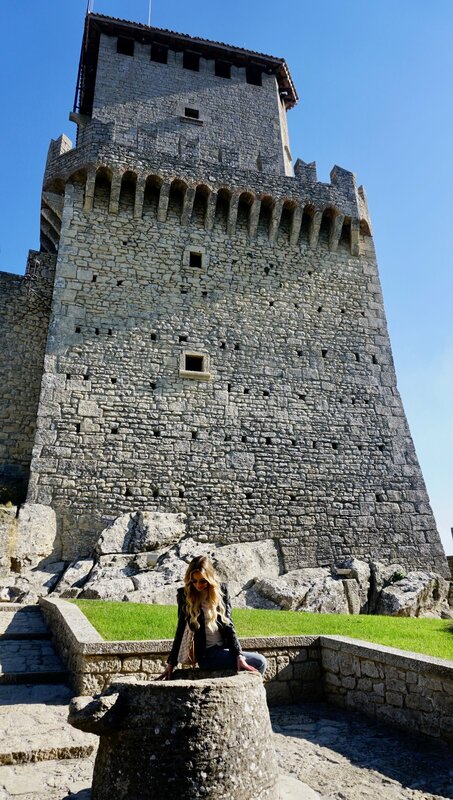 San Marino makes you really feel like you are back in Medieval times with its architecture. 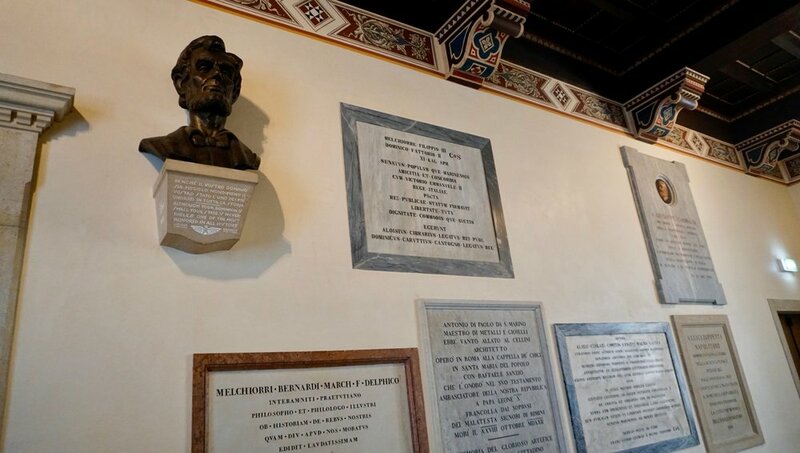 Did you know Abraham Lincoln was an honorary citizen of San Marino? Ask to go to the back of the church where you can lay in a small crevice on the wall for good health. In the main parking lot there is a small face carved into the mountain, ask your tour guide to take you. Try to get up for sunrise, the view is amazing, and very heavenly.